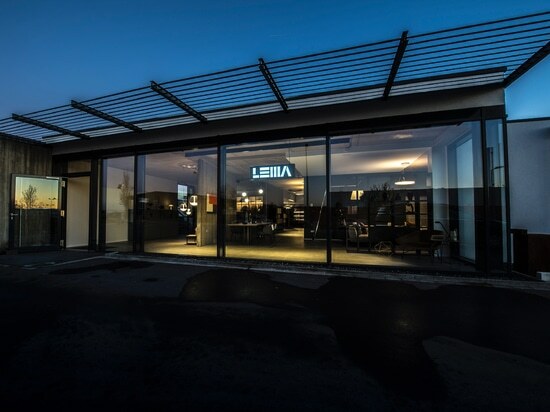 Following an exhilarating year, which has seen the company record a significant growth globally, both on the retail side with the Home division and in the world of projects through the Contract division, Lema comes to the Salone del Mobile 2018 with a significant number of new products. 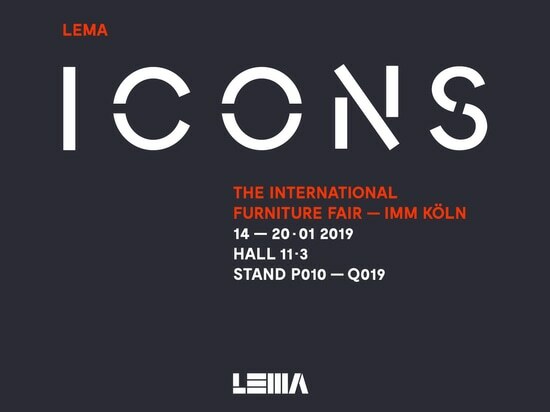 These go to enrich the already wide-ranging catalogue covering all the types: upholstery, seats, tables and furniture accessories, along with new developments in systems for the living area and wardrobes, Lema’s core business since the company was founded. Designed to respond to the steadily growing demands of the market, all Lema’s 2018 novelties tell of the pleasure of living in a discreetly elegant setting. As always, they are defined by the understatement typical of the creative language of the brand, which is one of the top players of the industry and an ambassador of Italian-made products in the world. Among the new ideas are the Alamo table and the Alton easy chair by David Lopez Quincoces, the new Faroe seat and container hybrid design by Gordon Gillaumier and the Taiki lounge chair, result of the new collaboration with Chiara Andreatti. They have a refined, contemporary imprint in common, with their all-Italian style consisting of attention to detail typical of the made-in-Lema design, deeply rooted in a manufacturing culture devoted to quality. 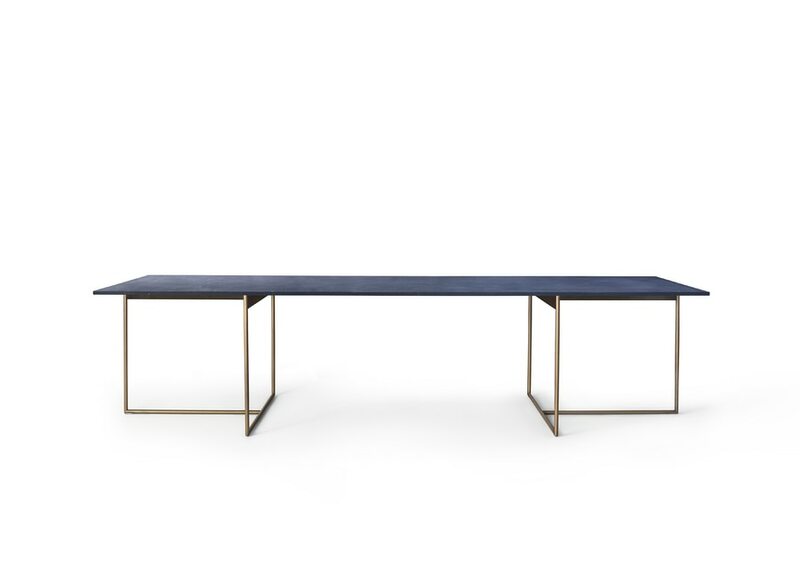 The Alamo table by David Lopez Quincoces, with its Déco spirit and magnetic character, has a severe, sophisticated line interpreting the decorative style typical of the 1940s with a minimal, entirely contemporary taste. The designer’s research has concentrated on the theme of lightness: the structure and top are elegantly slender, reduced to the minimum required for an object able to last over time, with its seductive combination of different materials. The structure is in Bronze coated painted metal and the top with its unique speckled effect is entirely original. 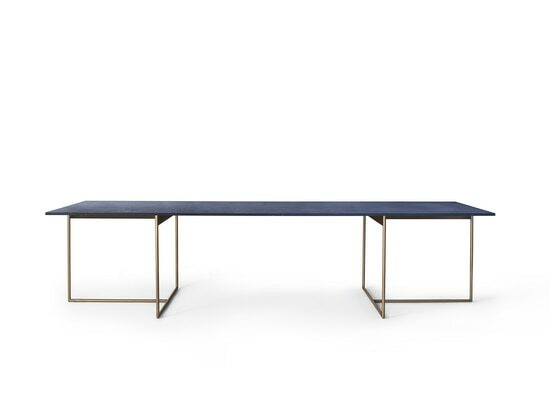 Made in stratified aluminium, it features the new exclusive material finish, consisting of resin, pigmented marble powder and flakes of noble metals like brass and bronze, offered in three fascinating versions: Lapis Lazuli Blue, Malachite Green, Nero Belgian Blue and Heat-treated Oak. Alamo is provided in four sizes: 2400/2700/3000/3300 x 905 mm. 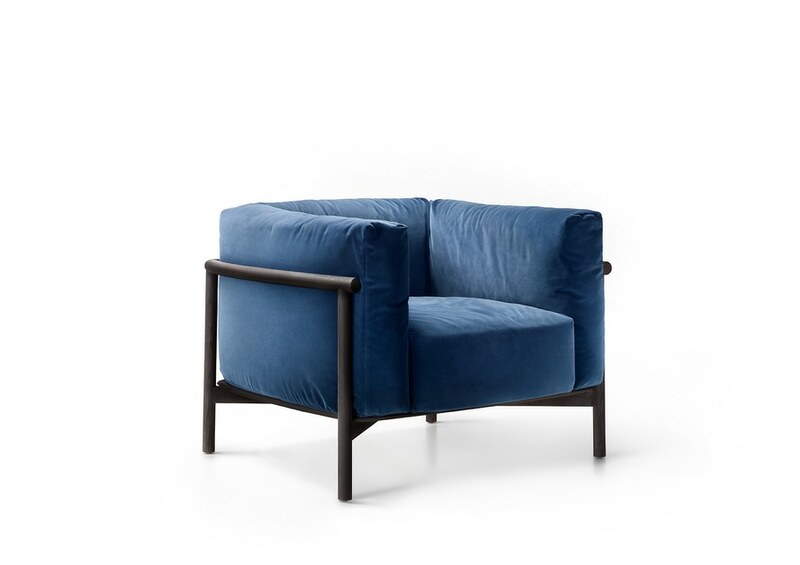 Another David Lopez Quincoces creation, the new Alton easy chair, with its sculptural character, features a structure in anthracite-painted metal to define its semi-circular profile, which accommodates the sober shape of the back in natural aged and dark-brown leather. Creating a refined stylistic contrast, the severity of the external profile merges into the embracing seat, with fabric or leather upholstery. Also continuing at Salone 2018 is the fruitful cooperation with Gordon Guillaumier who designed the Faroe, a collection of seat-containers. Consisting of islands to be personalised and organised in various multi-functional compositions, combining padded features upholstered in leather – seats and arms – with drawer units in a number of heights and internal settings. Elements, to be positioned freely in the centre of the room, whether in the living area, a bedroom or a walk-in wardrobe, where the island concept is already revealed in the name inspired by the Danish archipelago islands. With a strict equilibrium of form, Faroe features a light suspended lacquered metal frame – the selected colours are Mango and Bronze – which embraces and supports the wood unit’s, made in heat-treated Oak, and padded leather sections. Faroe is further enriched by the tops in Fumé tempered glass (thickness 8 mm. ), designed to create refined showcases with a contemporary mood where the most personal objects can be gathered: little collections in the living area and watches, jewels, leather items for the islands furnishing the walk-in wardrobe. 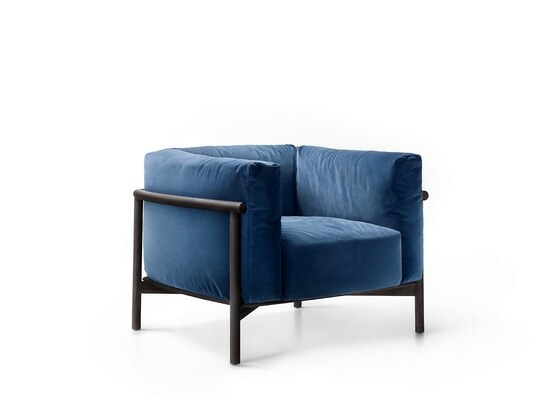 The result of the new collaboration with Chiara Andreatti, an up-and-coming designer and one of the most highly appreciated today for her strong decorative sense, Taiki is an easy chair that reinterprets the classical shapes in a contemporary format with its welcoming upholstery that invites you to relax. The detail of the seams gives the seat a modern spirit while maintaining a clear reference to Le Corbusier lines and proportions. 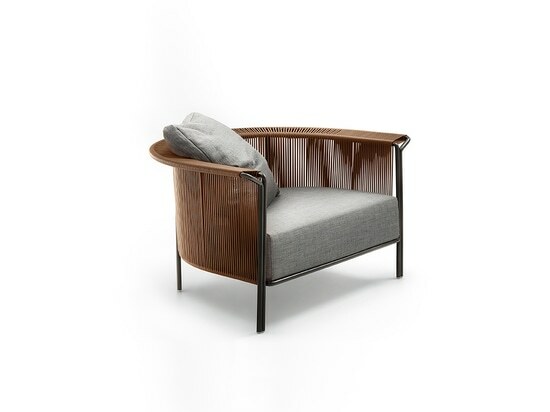 The structure in solid ash, with a heat-treated oak finishing, has a stern appearance with an oriental flavour. New proposals that enter discreetly into domestic environments, with a warm, welcoming atmosphere, inviting you to share the most pleasant moments and rediscover yourself. Comfort and conviviality, relaxation and warmth remain the words describing the Lema lifestyle for made-to-measure homes where you can feel free, leaving the hectic daily life behind you. A home where luxury enters on tiptoe, marrying a lifestyle away from clamour and pretentiousness; a refuge, free from constraints, of items carefully finished with craft workmanship possessing a unique lightness and a subtle luxury made up of details that only an expert eye can recognise. 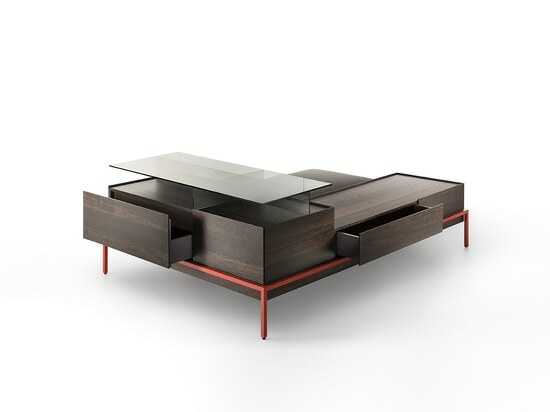 Designs born of a perceptive encounter with designers with a heterogeneous approach, emphasising the corporate capacity, unique in the world of furniture, to channel the various styles into a varied but consistent collection. Remaining imprinted not only as single pieces but also as seen together, offering original aesthetic hints for environments that do not fear emotion in revealing their innermost nature.